The dust mite is an invisible micro-organism that nests in dust, preferring warm, damp environments and feeds on secretions of human skin. It is the primary cause of allergic reactions, such as rhinitis, conjunctivitis, eczema, coughs and asthma which especially affect children. It can be particularly found in mattresses, carpets, cushions and curtains. 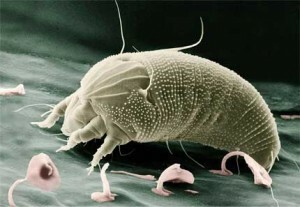 It lives in huge colonies: a single gram of dust may contain a population of up to 15,000 dust mites! The biological products of the dust mites are allergens which cause diseases in allergic people. The only way to prevent allergic reactions is to eliminate dust mites in the home or reduce their levels as much as possible. 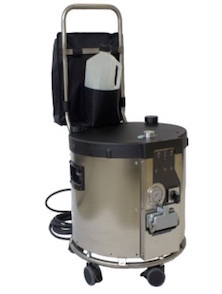 Dust mites do not survive the level of temperature and pressure of Vaporetto or Vaporetto Lecoaspira steam. 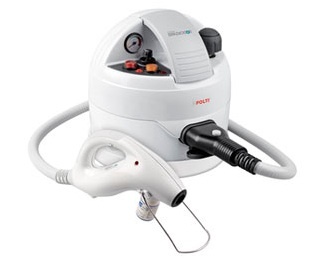 The effectiveness of Polti steam against dust mites has been severely tested in multiple scientific studies conducted by international organisations. Cambridge University and Lyon Dermatological Hospital tested Vaporetto to dermine its effectiveness as compared to a vacuum cleaner for eliminating dust mites and scabies mites. In Cambridge University two carpets and two mattresses containing live dust mites were compared. 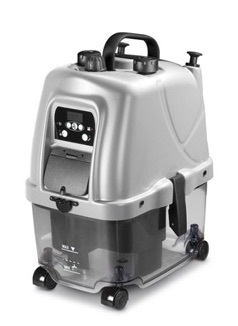 One carpet and one mattress were cleaned with an ordinary vacuum cleaner, the others with Vaporetto. Then the live dust mites on the samples were counted. Vaporetto had eliminated 97% of them from the carpet and 98% from the mattress, cutting allergens by 86%. 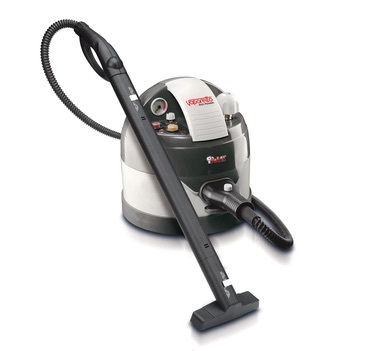 The ordinary vacuum cleaner had eliminated only 57% of dust mites and 46% of allergens. Lyon Dermatological Hospital tested Vaporetto’s effectiveness for decontamination of linens and rooms infested with scabies mites. The mites were killed by only five seconds of exposure to Vaporetto’s jet of steam at over 120°C. These results leave no doubts: the high temperature (120°C) and high pressure (from 3 up to 5 bars) of Vaporetto and Vaporetto Lecoaspira not only drastically reduce the number of living dust mites but neutralise the allergens they produce, providing an extraordinary powerful decontaminating action. Above results have been also confirmed by “British Allergy Foundation”, that awarded both Vaporetto and Vaporetto Lecoaspira as well as Lecologico vacuum cleaners with water filter its “Seal of Approval” for the effectiveness of these products in eliminating mites.